Homemade gifts are a thoughtful way to show your love for friends and family. And not only are they unique and personalized, but they’re also easier on your wallet! This recipe for chai-spiced apple butter made in a slow cooker is a thoughtful homemade gift that everyone in your life will be happy to receive. The slow cooker ends up doing most of the work, which means you don’t even need to spend much time in the kitchen. Store apple butter in the fridge, or use a proper canning process to make them safe to store at room temperature. 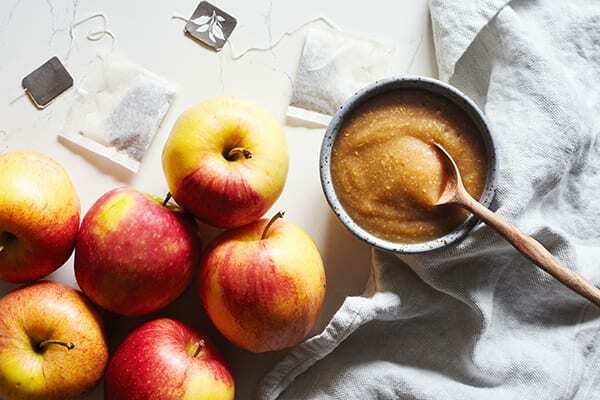 Several different types of apples can be used to make this sweet apple spread, so feel free to pick your favorite or combine two or more varieties. McIntosh, Honeycrisp and Gala are some of my go-to apples for cooking. For this recipe, leaving the peels on half of the apples adds texture and fiber. I love adding a slight twist to homemade edible gifts, so adding chai tea bags adds a unique flavor to the apple butter. Store the apple butter in the fridge, or use the proper canning process to make them safe to store at room temperature. 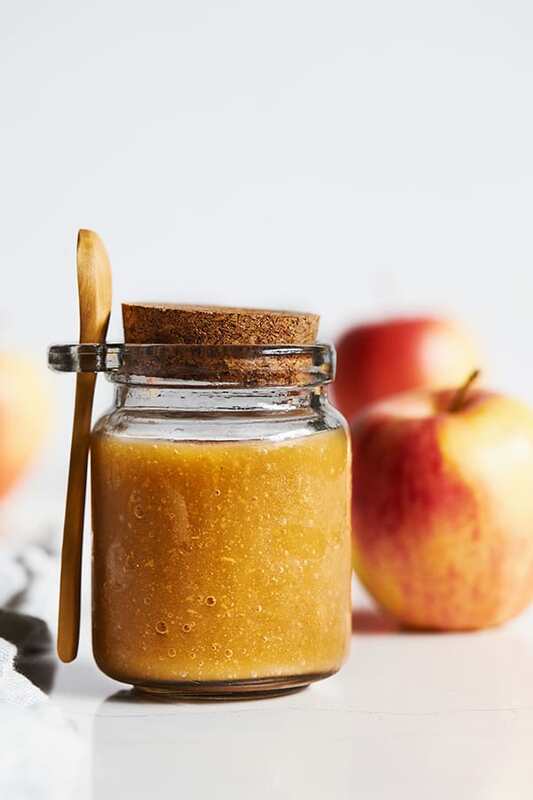 Spread chai apple butter on toast, stir a spoonful into your morning oatmeal, use it in place of maple syrup on pancakes, stir into barbecue sauce, or make your grilled cheese sandwich the stuff of dreams. Place apples, sugar, lemon peel, and tea bags in a 2 to 3-quart slow cooker. Cook on low for 12 hours or until apples are completely broken down. Remove lemon peel and tea bags. There are a lot of good apples that can be used to make apple butter. You can use one type or a combination: Cortland, Honeycrisp, Golden Delicious, Jonathan, Jonagold, Braeburn, Granny Smith (tart), McIntosh, and Gala. All apples can be peeled if you prefer, but leaving the peels on preserves more healthy fiber! Can be used as an FFC as part of breakfast.